With the veritable swath of HD remakes coming in these days, it would be really easy to simply port the title and call it a day. However, some developers like to use that opportunity to make the corrections that would work in the game’s benefit. 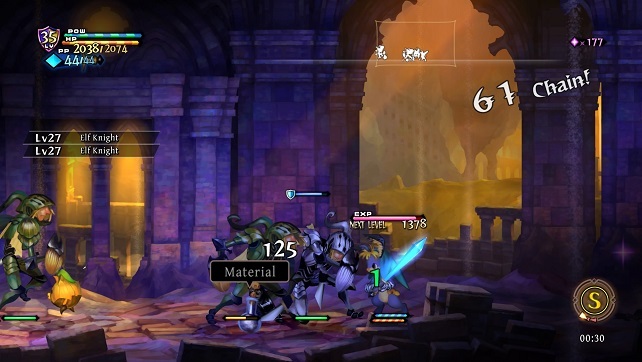 Vanillaware’s Odin Sphere Leifthrasir is one such remake that works upon the already fantastic base from its original PS2 release and makes enough tweaks to work in its advantage. Originally released in the US in 2007 on the PS2, this 2D sidescrolling action RPG presents you with 5 separate campaigns that intertwine with each other as you play. Its game time of 30+ hours is in line with many JRPGs of its ilk. 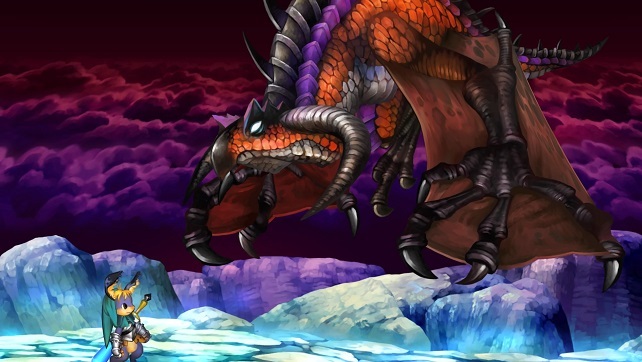 Published by Atlus, Leifthrasir was released on June 7th, 2016, exclusively to all current PlayStation platforms (Vita, PS3, and PS4) at $39.99, $49.99, and $59.99 respectively. The PS4 version was played for this review. Not only will this remaster feature a re-tooled version of the original called Refined Mode, the original PS2 build is also along for the ride as Classic Mode (similar to NiGHTS‘ “Brand New Dreams”/Saturn original’s approach) if the technical quirks of the original are more to your liking (with widescreen support). This title also supports cross saves between all versions, which is most definitely a plus. Like anyone who has played the original, the beautiful hand-drawn art style is still ridiculously unique and truly something worth mentioning. Bob Ross (God rest his happy soul) would take note from the amount of artistic beauty just spewing from the screen. Considering that this game is framed as a children’s storybook read by a child, using this as a framing device for the game as a whole just fits. The amount of extensive detail in backgrounds and character sprites are extremely impressive, and Leifthrasir knocks it out of the park with its stunning visuals. This is relevant for Classic and Refined mode, and proves that. Thankfully, the sound direction is equally solid. 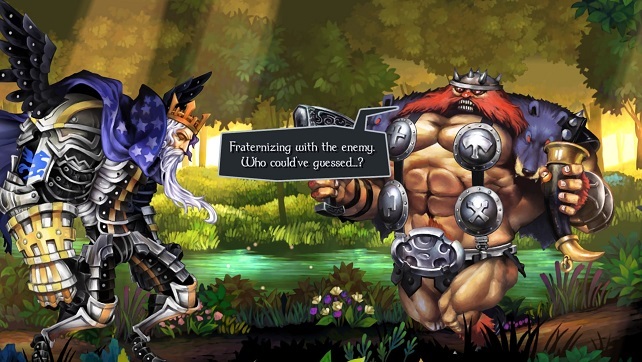 The soundtrack at hand is fitting with the storybook feel of the game, and is just bombastic enough to enhance the supposed excitement of battle while you hack away at your foes. The voice acting presented within is done well enough, but it can also be a bit annoying at times. Thankfully, this sort of thing is few and far between. 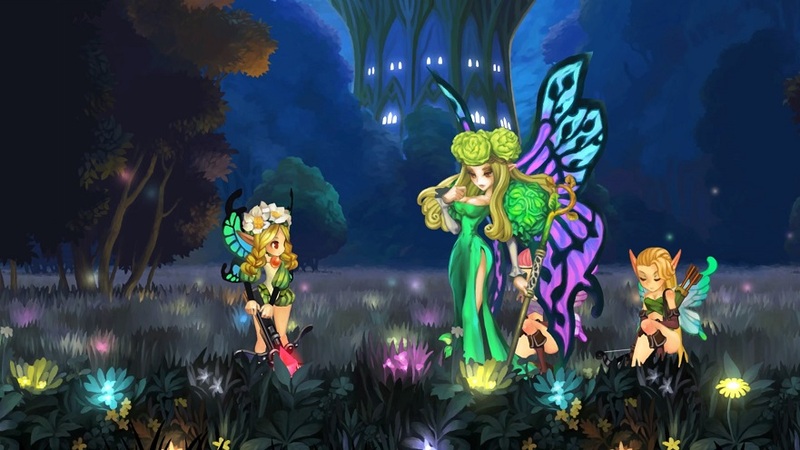 The game is split between five playable characters with stories that will intertwine with each other as you play. Taking cues from Norse mythology, each character’s unique story unfolds in a manner that is very reminiscent of the whimsical fairytales of old. Because of this, there can be quite a bit of melodrama that comes with the territory. That’s not to say that the melodrama within isn’t handled well. It knows what it is and is very comfortable with telling the story in such a manner, and it largely works in its benefit. It never falls into the kind of overacting commonly seen from actors like Nicholas Cage or Tom Cruise. Even though the game features multiple playable characters, the rules of succeeding within each campaign are relatively simple. You traverse through environment engaging in short battles along the way, hack and slash your way through it, receive a grade (and appropriate loot), and repeat the process until you beat the boss of the current area. You will find yourself repeating mini-boss and boss fights along the way, but it’s more of an inconvenience than an outright annoyance. I found myself accepting it as part of the experience once I was entrenched with managing the (minimal) grinding, expanding the skill tree, and using everything to my advantage. Leifthrasir takes a unique approach to grinding, which tends to work to both its benefit and detriment. Gaining experience is not just watching an XP bar fill up; you have to cultivate experience-bestowing food and eat it with your own hands. Finishing fights gives you “phozon” and the occasional “phozon prisms”. Phozon is the source of expanding skills and gaining experience through the cultivation of food. Gaining prisms will unlock new abilities that can be used in combat, and most of these skills are pretty useful. Enemies will drop seeds of various foods that require phozons to grow. These can vary from various fruits to sheep (yes, sheep), and can be used in recipes in rest areas to gain further experience. Keeping on the grind will keep you from running into any major obstacles, but the constant encounters will often consist of repeating the same attacks ad nauseam, which will wear down on you regardless of how short they may be. Refined Mode’s combat is a lot smoother, and feels more like a minor tweak than a major overhaul. Purists are still welcome to jump over to Classic Mode if this is something that bothers them. Load times are also smooth and fast. Critical issues aside, this game is just oozing with personality and charm. Playing through it now, it’s easy to see why this game is as well-loved as it is. 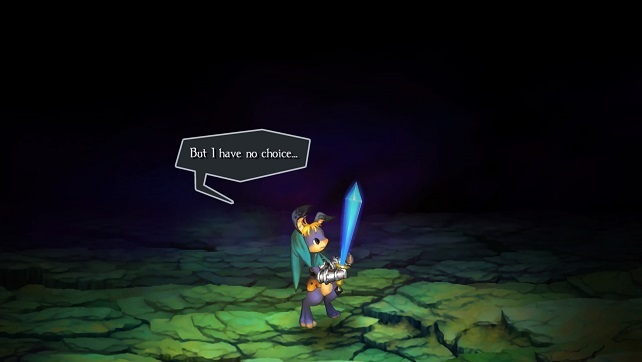 Sure, it hits the same notes that many JRPGs have, but the shortcomings are vastly overshadowed by what made the title such a joy to play in the first place. It’s a game that revels in its own storytelling, but it also has a joyful air to it at times. In an age of unnecessary grit and brown tones, it’s nice to be reminded that there are games out there that can succeed at being compelling, functionally competent, and beautiful at the same time. Review copy provided by Atlus for PS4. Screenshots taken by reviewer.